We have a scheme to help with the cost of having your cat neutered or spayed. All you will be asked to pay is £10 if you live locally. For details of how to apply for this neutering voucher please telephone 01962 884468 between 9am and 5pm only. 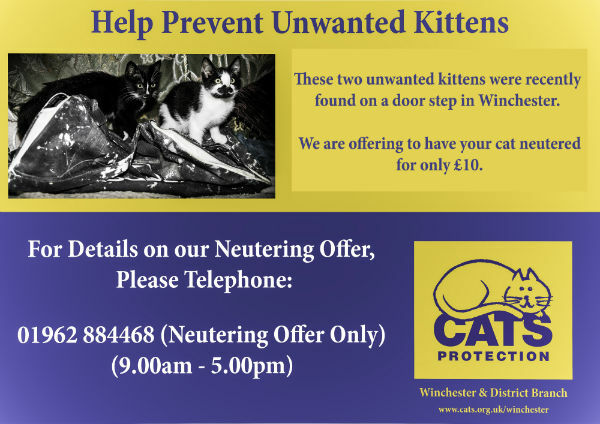 Applies to male and female cats and kittens and you may be surprised to know that kittens can be neutered from approximately 4 months old (depending on their weight and size) so no need to wait until they are 6 months old!